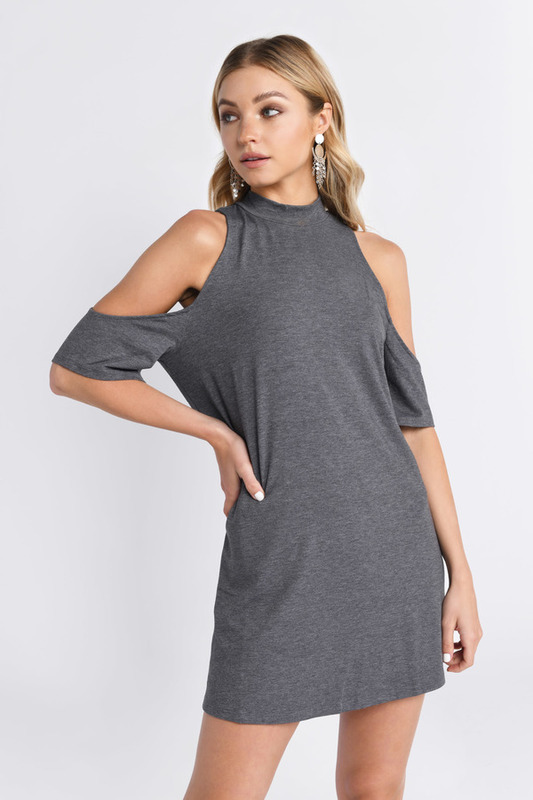 Check out Tobi's Juna Cold Shoulder Shift Dress You'll fall in love with the Dark Heather Grey Juna Cold Shoulder Shift Dress. In stretch rayon with an easy swing silhouette, this high neck dress has half length sleeves with cold shoulder cutouts for an elegant style that you can dress up or down. We love the khaki dress in particular for its cool casual feel. 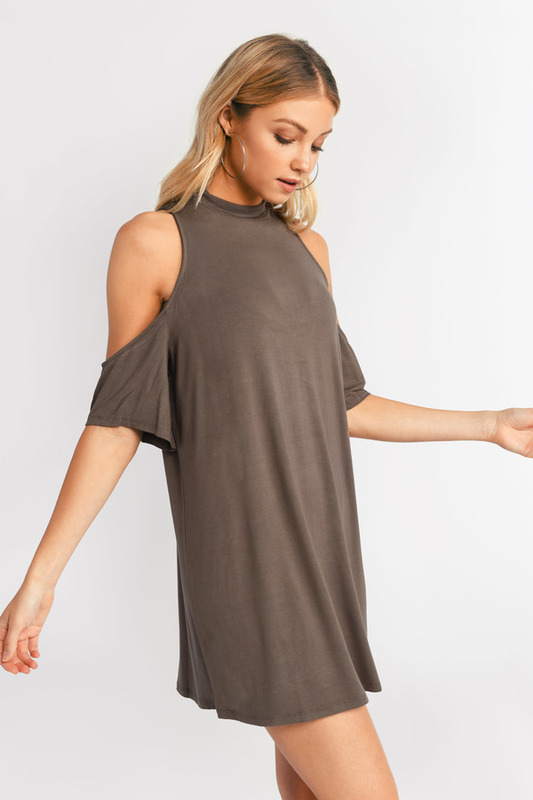 You'll fall in love with the Dark Heather Grey Juna Cold Shoulder Shift Dress. In stretch rayon with an easy swing silhouette, this high neck dress has half length sleeves with cold shoulder cutouts for an elegant style that you can dress up or down. We love the khaki dress in particular for its cool casual feel. You'll fall in love with the Black Juna Cold Shoulder Shift Dress. In stretch rayon with an easy swing silhouette, this high neck dress has half length sleeves with cold shoulder cutouts for an elegant style that you can dress up or down. We love the khaki dress in particular for its cool casual feel. You'll fall in love with the Olive Juna Cold Shoulder Shift Dress. In stretch rayon with an easy swing silhouette, this high neck dress has half length sleeves with cold shoulder cutouts for an elegant style that you can dress up or down. We love the khaki dress in particular for its cool casual feel. Dark Heather Grey modeled on a size Small.